This episode The Fifth Wheel, centers around Kevin entering rehab, facing his childhood and his memories of being left out from his mother’s love. As he takes his siblings and mother along on this journey, to find the moments where he wasn’t an afterthought, viewers see pre-teen Kate battle with weight on a family trip; as a teen looking for a dress for a dance and then again as an adult coping with the loss of her miscarriage. The scene of The Fifth Wheel episodeopens to a ceramic coffee mug on the living room coffee table and a game of Monopoly in progress. To begin, Rebecca plays with Kate, until Jack comes home with the good news that the family is going on a vacation – to his co-worker’s cabin which becomes the place where pre-teen Kevin, Kate and William provide context for some of their challenges throughout the episode. Kate’s weight is a kitchen discussion among the back drop of Jack and Rebecca’s coffee mugs. Rebecca hopes to censor young Kate’s penchant for sweets by enlisting the help of Jack. Jack refers to her as big bone, a term used to refer to those overweight who struggle with presumed bigger bones that prevent them from losing weight. Rebecca doesn’t buy the idea entirely. While some people’s “bones may have a bigger circumference than others’ relative to their respective heights according to, it isn’t a medical term.” So Kate needs to get active. 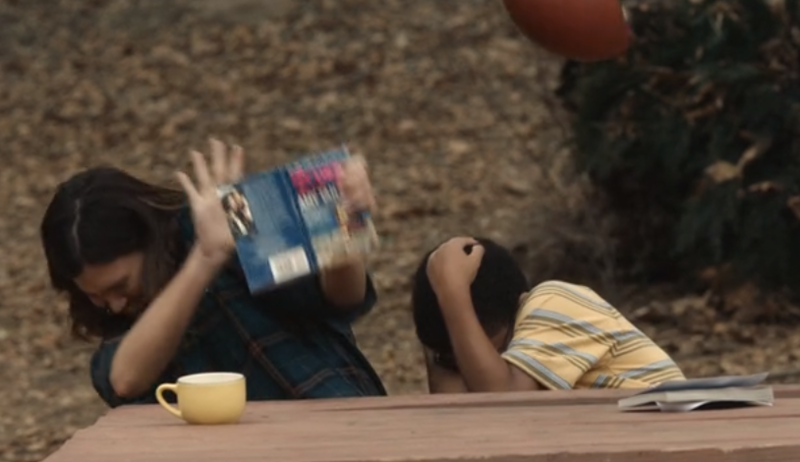 While vacationing out of doors at the cabin of Jack’s co-worker, pre-teen Kevin throws a football at his mother and Randall while she drinks coffee and the two read. 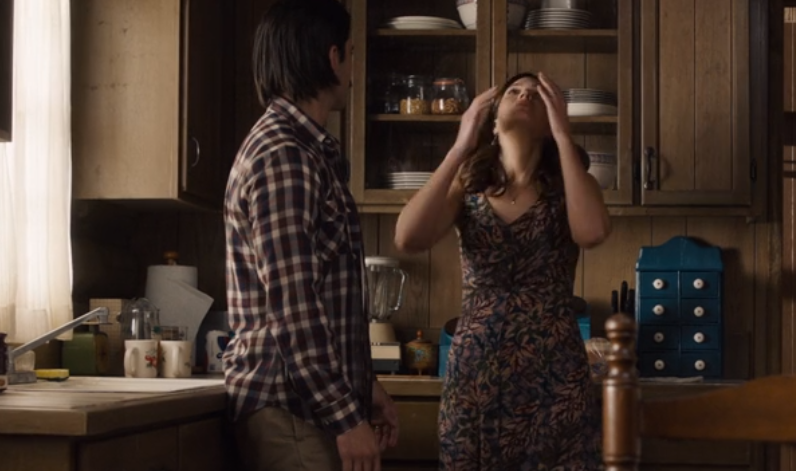 In an attempt to get attention from his mother whose bonding with Randall and his father who’s concerned with exercising with Kate, Kevin’s action is a memory among many where he feels like a fifth wheel. This flashback builds upon his reality of how his childhood was in contrast to how his mother and siblings remember it as they are called to do while he’s in rehab. This entry was posted in film and tagged cabin, coffee, famioy, film, this is us, TV. Bookmark the permalink.